This compact fiber media converter transforms 1000BASE-T (Copper Gigabit) media to 1000BASE-SX/LX (Fiber) SFP media andvice versa. 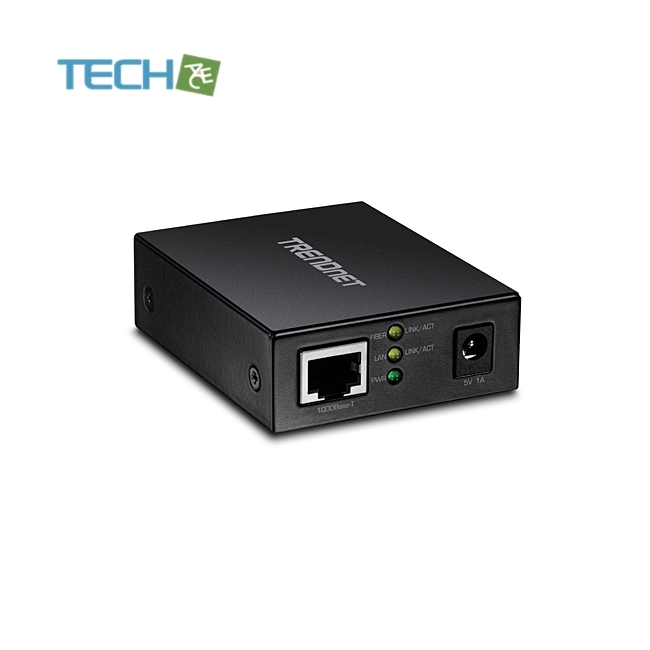 The 1000BASE-T RJ-45 port supports a full-duplex Gigabit connection at wire speed. The SFP slot supports bothmultimode (SX) or single-mode (LX) SFP modules.